GEIGER tubular motor (ᴓ 45 mm) with AIR radio technology. Available from 6 to 30 Nm for ZIP screens. Adaptor and driver for all current shafts. Plug-in connection cables. Only one operation to the upper and the lower end stop for ZIP screens with stops and anti-lift device. Done! Plug & Play! Torque shutdowns stress the ZIP system more than position shutdowns. 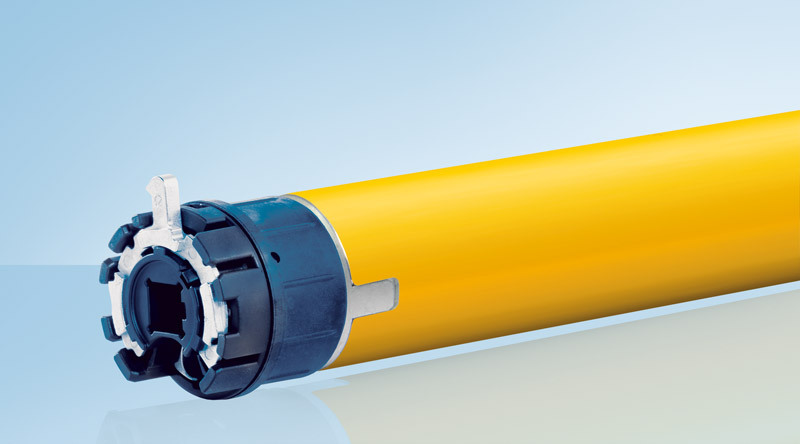 Therefore, the SOLIDline AIR uses torque shutdowns only when absolute necessary. Torque shutdowns in the upper end position are only made for the programming run and the reference runs after 50 cycles. After installation, there are no further torque shutdowns in the lower end position. 2) The average sound pressure level data are intended for guidance only.The values were determined by GEIGER at a distance of 1 m, with a hanging motor at idle speed and averaged over 10 seconds. There is no reference to any specific test standard.